Hi Ladies! 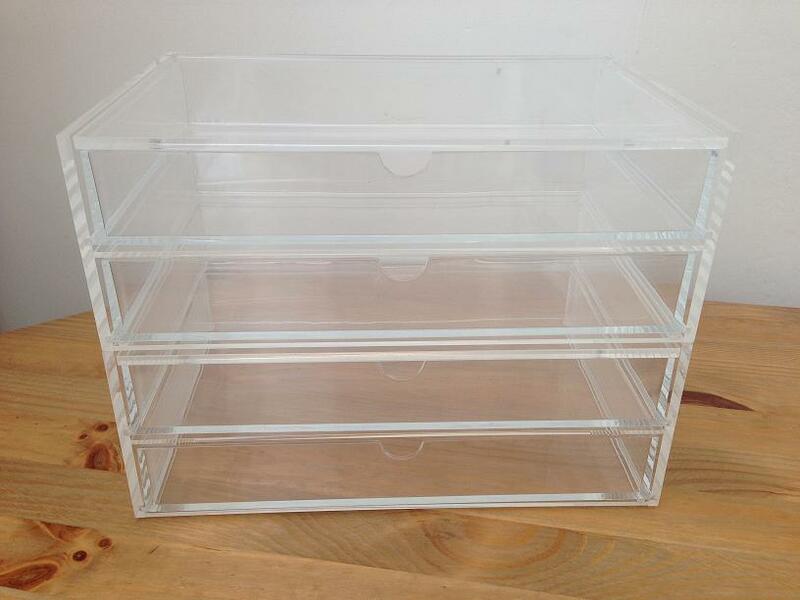 I know I'm a little ridiculously late with buying acrylic make-up storage. It seems like everyone in the beauty blogosphere has already had theirs for quite a while now, and it was up to silly old me to be the last. Well, somebody has to be last right? 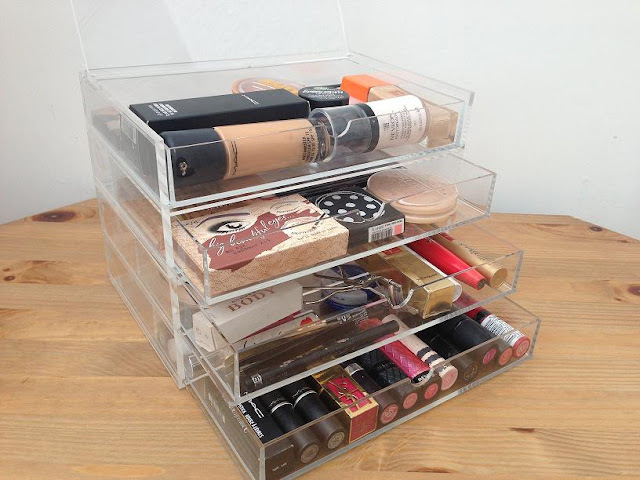 I know these became popular after everyone saw them on 'Keeping Up With The Kardashians' a while back and since then it's been a must-have product to store make-up and make-up brushes nicely on your dressing table. 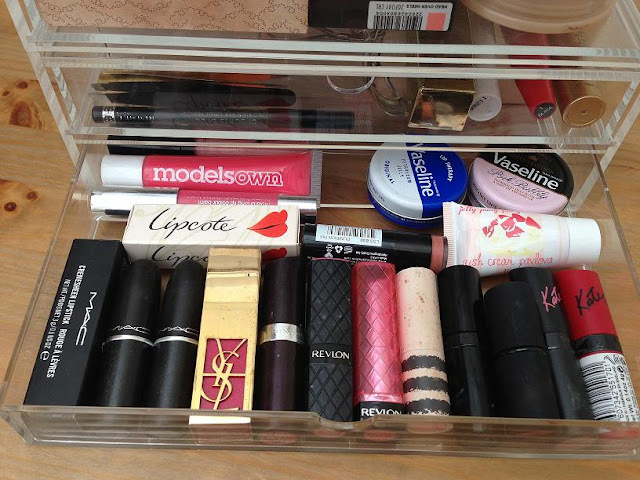 I'm already quite organised with my make-up, but starting to rumble around in a box for what I needed started to become a bit of a chore so acrylicd drawers were the only way forward. I posted about wanting these in my January Wishlist (read it here) and they arrived almost by magic yesterday evening, so without further ado, let me introduce you to my new 'getting ready' saviour.. I know the 5 drawer box is most popular, but when I went to buy it, there was a heartbreaking message that said they wouldn't be getting anymore in stock until February. Boo. I wasn't waiting a month! So instead I bought 2 drawers to stack on top of eachother and a pen pot to store my make-up brushes upright. 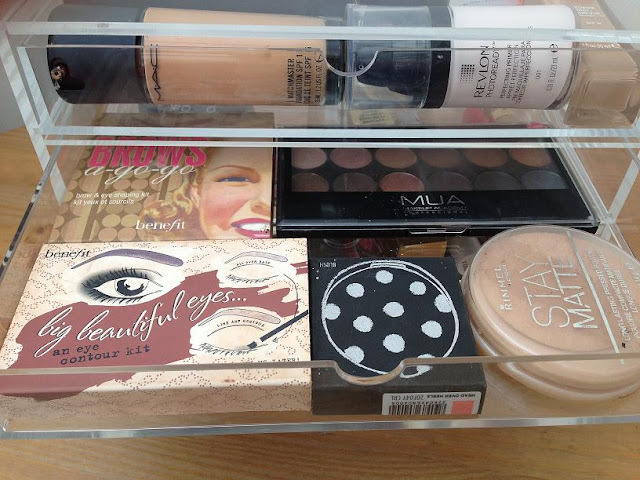 It looks just as good, and the flip top lid means there is ease of access when I want to use a foundation or a palette. I've stored my products in the order I apply them to make it that little bit easier as I'll be working down the drawers. 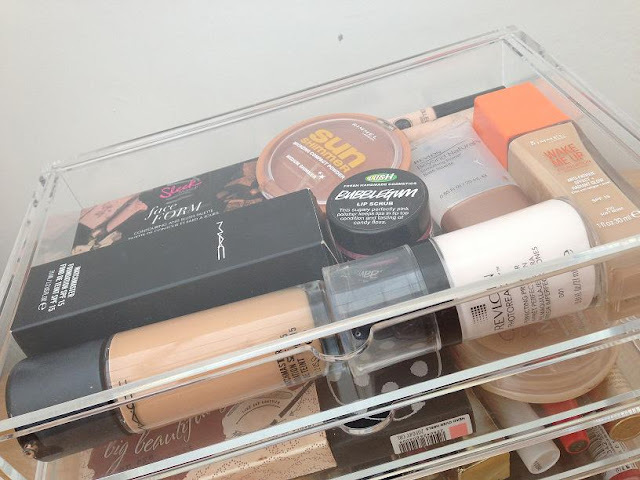 Foundations, concealers, primers, powders and contours are in the top draw, eyebrow palettes and eyeshadows and some eyeshadow palettes are in the second, mascaras, eyeliners, tweezers and other bits and bobs are in the third and finally lipsticks and lip treatments are in the bottom. Phew. The pen pot was a bit of an impulsive buy as I didn't originally plan to buy it, but I thought it would look nice on my dressing table if it matched the drawers. It isn't big enough to store all of my brushes, so I use it just for those that I use on a daily basis and store the others in a box in the top draw of my dressing table. All in all I'm super impressed with my new Muji storage, and as my collection grows I'll definitely be ordering a few more drawers and pots. 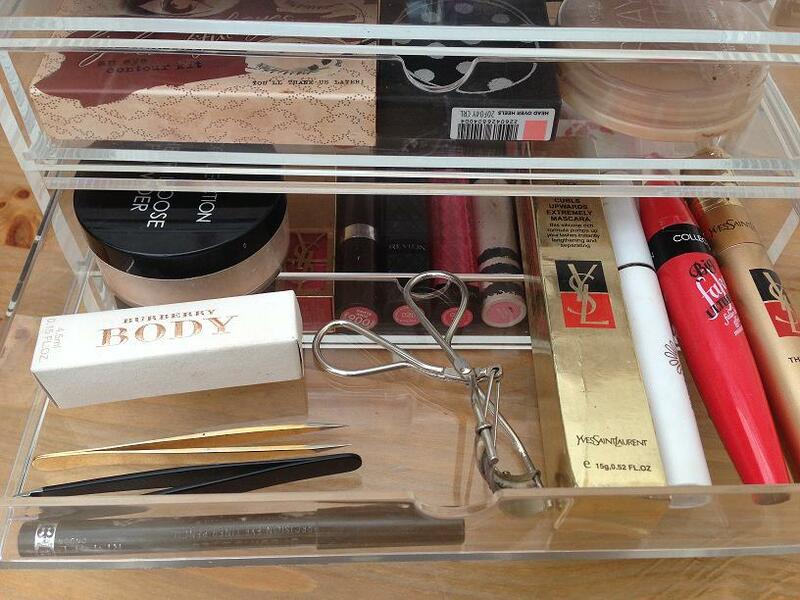 What do you use to store your make-up? 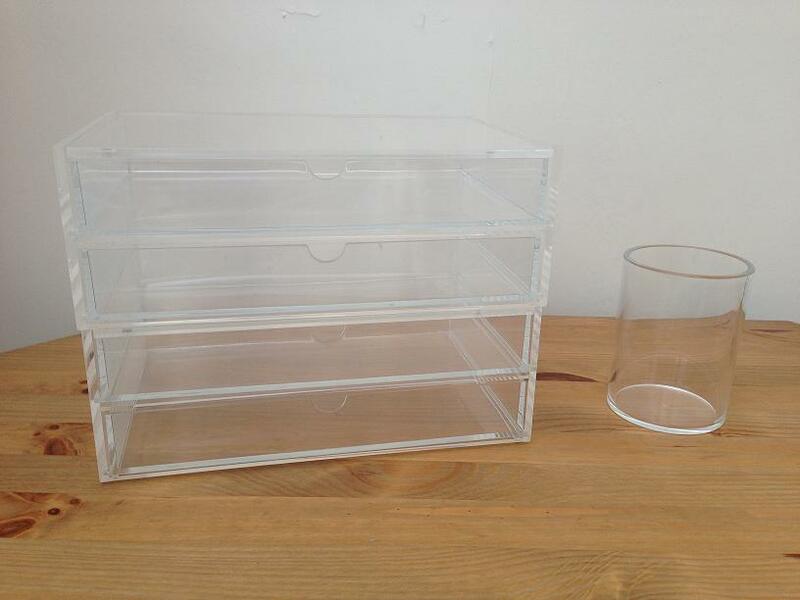 Have you ordered anything from Muji recently? I've done exactly the same thing with eBay- wondering why they were so overpriced, after seeing them on KUWTK. Thanks for sharing such a bargain- you've saved me a lot of dosh! I don't bother, I haven't got them to be honest. 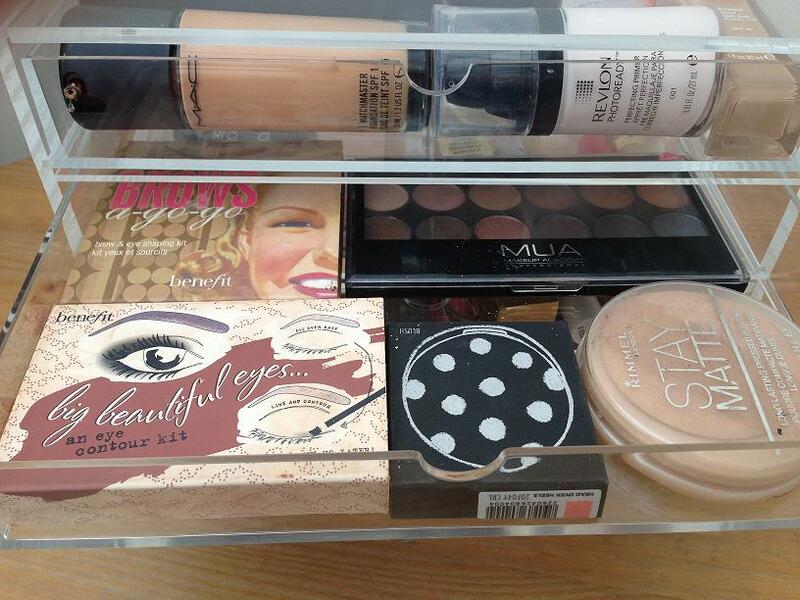 I use boxes from bath sets, chinese tubs etc to arrange my make up and tbh it's all quite neat, tidy and organised! Though I have a bit much for this... But thank you for sharing! Tag: What's In My Handbag? 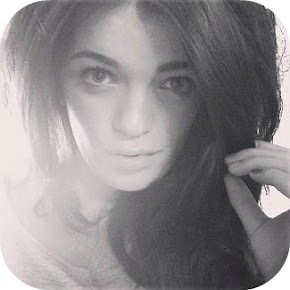 Kendal Weston. Powered by Blogger.